In this paper, the results of a pilot interview study with 19 subjects participating in an EEG-based non-invasive brain–computer interface (BCI) research study on stroke rehabilitation and assistive technology and of a survey among 17 BCI professionals are presented and discussed in the light of ethical, legal, and social issues in research with human subjects. Most of the users were content with study participation and felt well informed. Negative aspects reported include the long and cumbersome preparation procedure, discomfort with the cap and the wet electrodes, problems concerning BCI control, and strains during the training sessions. In addition, some users reflected on issues concerning system security. When asked for morally problematic issues in this field of non-invasive BCI research, the BCI professionals stressed the need for correct information transfer, the obligation to avoid unrealistic expectations in study participants, the selection of study participants, benefits and strains of participation, BCI illiteracy, the possibility of detrimental brain modifications induced by BCI use, and problems that may arise at the end of the trials. Furthermore, privacy issues were raised. Based on the results obtained, psychosocial and ethical aspects of EEG-based non-invasive BCI research are discussed and possible implications for future research addressed. This work is supported by the European ICT Programme Project FP7-224631. The paper reflects only the authors’ views and funding agencies are not liable for any use that may be made of the information contained herein. During the past months or years you took part in research studies in the field of direct brain–computer interaction. With this interview study we’d like to find out about your impressions, feelings, and experiences concerning your use of brain–computer interfaces and concerning your participation in the studies in general. That’s why we would like to ask you to tell us more about your participation and to share with us your opinions and ideas about the technology you used. The questions we would like to ask you are not simple yes/no questions but will invite you to express your own ideas. In answering the questions we would like to ask you to use your own words and language and to answer the questions from your point of view. This will help us to understand what study participation and the use of brain–computer interfaces really meant to you, independently of the professional description and assessment thereof. How did you get involved in the BCI study? What kind of assistive technology are you currently using? How comfortable is this technology? Have you ever used BCI technology before? What did you know about BCI technology before? How well informed did you feel when you started participation in the BCI trials? What did you expect from this technology? After you were asked to participate in the studies, which were your motivations to agree? Why did you become a participant in the BCI study? How did you experience the whole procedure of using a BCI device with all its necessary preparations and efforts? Did you experience the technology as helpful and useful? If yes: How did you benefit from BCI use? If no: What kinds of problems did you face? Have you been generally satisfied with your experiences or did you experience disappointments? Please specify to what extent your expectations were met or frustrated. Was there a specific act that you were able to do that surprised or astonished you? Did you experience a difference between using the BCI device and using more common tools or devices? If yes, how did you experience the difference? Can you describe what it is like to use a BCI-based device? How did you experience the role of your brain while using a BCI-based device? Did you have the impression that you and the BCI-based device together form some kind of functional unit? Or, to put it in other words, did you experience the BCI device, the moment you used it, in any sense as part of you? While using the BCI device, could you directly concentrate yourself on the work you tried to do? In other words: Could you forget about the technology and the learned strategies of using it and just do what you wanted to do? Imagine that the device you tested were to become a standard solution that is broadly used in everyday life. Could you imagine some specific problems that might result from such use? Do you think there should be special formal regulations concerning the use of BCI technology in general or the device you used in particular? If you look back to your participation, how do you evaluate your contribution to the project? Do you have the impression that your participation was helpful? If somebody asked you whether he/she should participate in a similar study, what would be your answer? If you look back to your participation, which are your personal conclusions or comments? This survey is carried out by … Your participation in this survey is, of course, absolutely voluntary and your data will be protected and kept anonymously. If you like, we will inform you about the results of this survey. As a professional working with technology based on brain–computer interfaces (BCI) you are in contact with an innovative and fast-growing new field of technological applications. No matter whether you are an engineer, a physician, a scientist, a carer, a PhD student, or anyone else connected to the field, you have had your own experiences with the technology from a particular professional point of view. The objective of this survey is to ask you about this point of view regarding moral issues in the use of BCI devices that you might have become aware of. Therefore, we would like to ask you if there are features, aspects, or applications of BCI technology you assess to involve manifest or potential moral problems. Please explain these instances to us so that we can understand the background of your concern. If there is more than one issue you would like to name, please list them (from your point of view) in order of importance or urgency. Having your feedback would help us to assess the state of the art and to coordinate further debate on ethical issues in brain–computer interaction on an international level. Hildt, Elisabeth. 2010. Brain-computer interaction and medical access to the brain: individual, social and ethical implications. Studies in Ethics, Law and Technology. doi: 10.2202/1941-6008.1143. Nijboer, Femke, et al. 2011. The Asilomar survey: stakeholders’ opinions on ethical issues related to brain-computer interfacing. 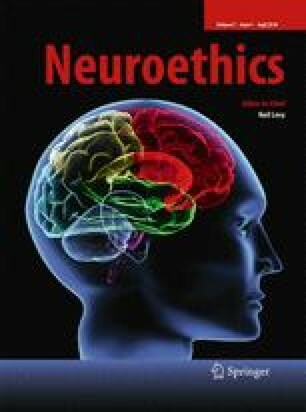 Neuroethics. doi: 10.1007/s12152-011-9132-6. Maguire, M.C. et al. 1998. User-centred requirements handbook. RESPECT Consortium. http://hdl.handle.net/2134/2651. World Medical Association. 2008. Declaration of Helsinki. http://www.wma.net/en/30publications/10policies/b3/index.html.